Elegant & majestic are 2 words to describe this Benjamin Marshall jewel. This home has been renovated by Bruce Gregga to perfection. 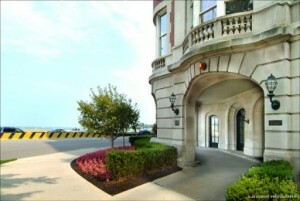 Enjoy fabulous unobstructed vws of Lake Michigan in true luxury. Paneled library w/wbfp, master ste w/sitting rm & eat-in kit w/butler's pantry make this home grand. Bldg features roof garden. Pet friendly & financing is avail.